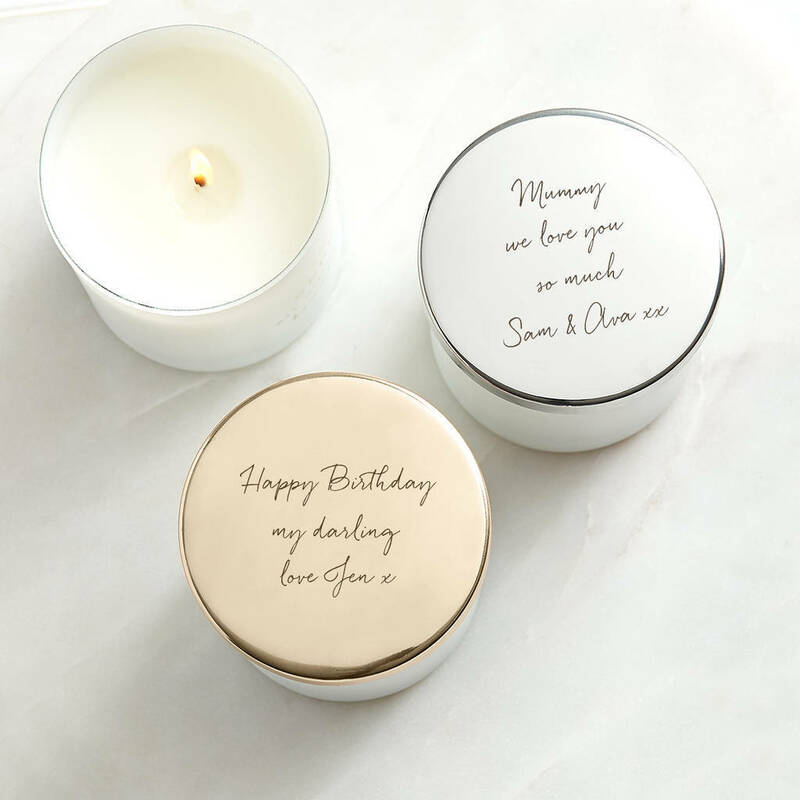 A luxurious gift set containing a wonderfully scented candle, an elegant personalised candle lid and a stylish soft, silk eye mask. 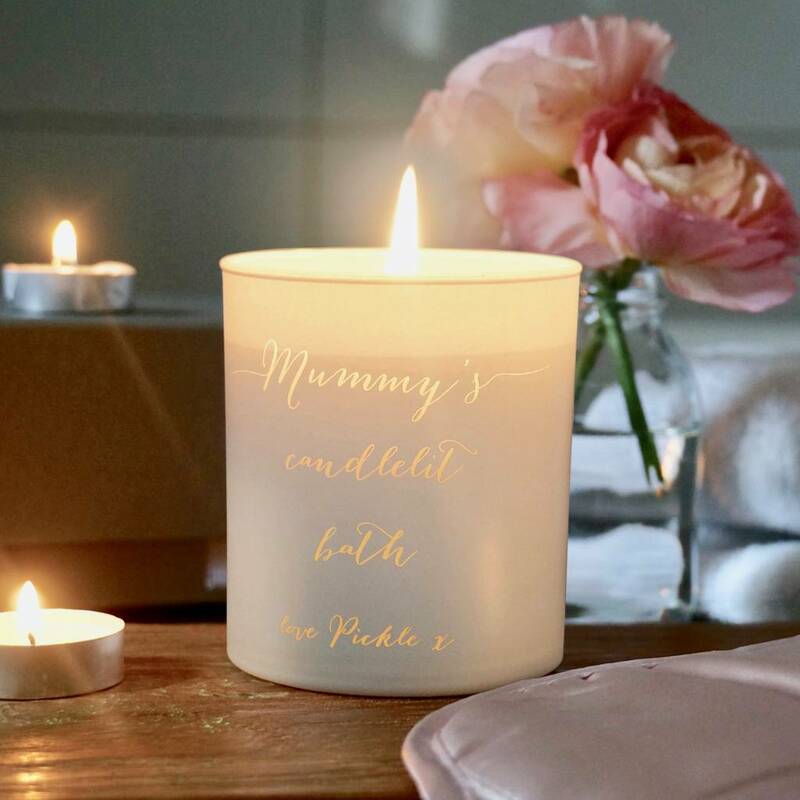 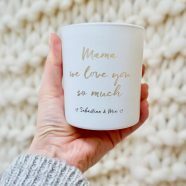 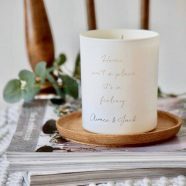 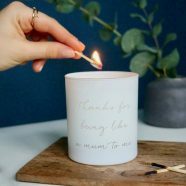 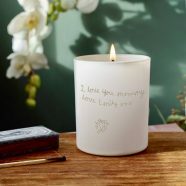 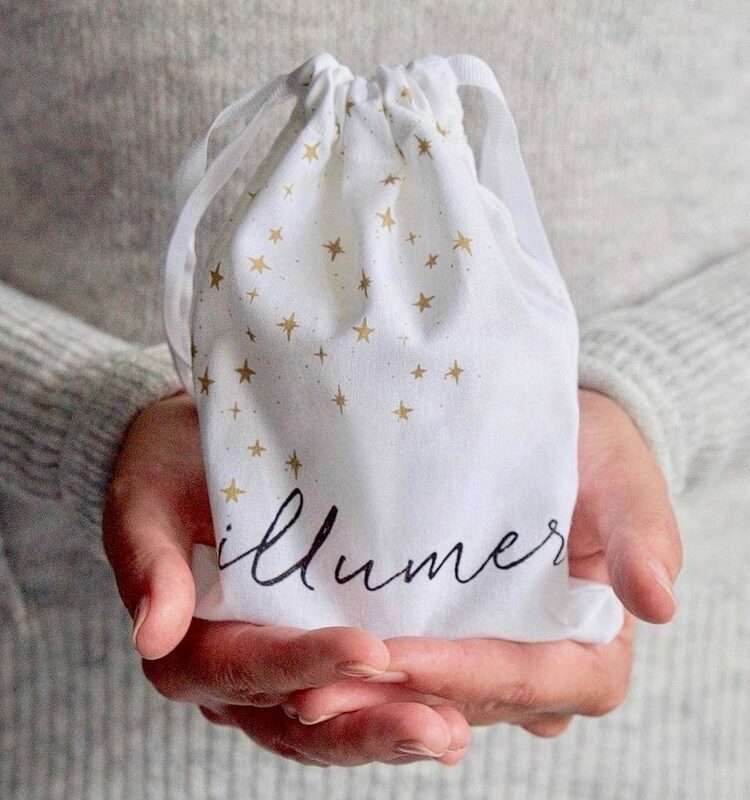 Our hand poured candles are engraved with your chosen message and the words are softly illuminated by candlelight when lit. 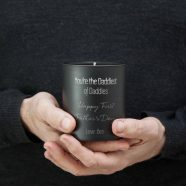 The candle lid sits on top of the candle to protect the wax and scent when not in use and may be personalsied with your words. 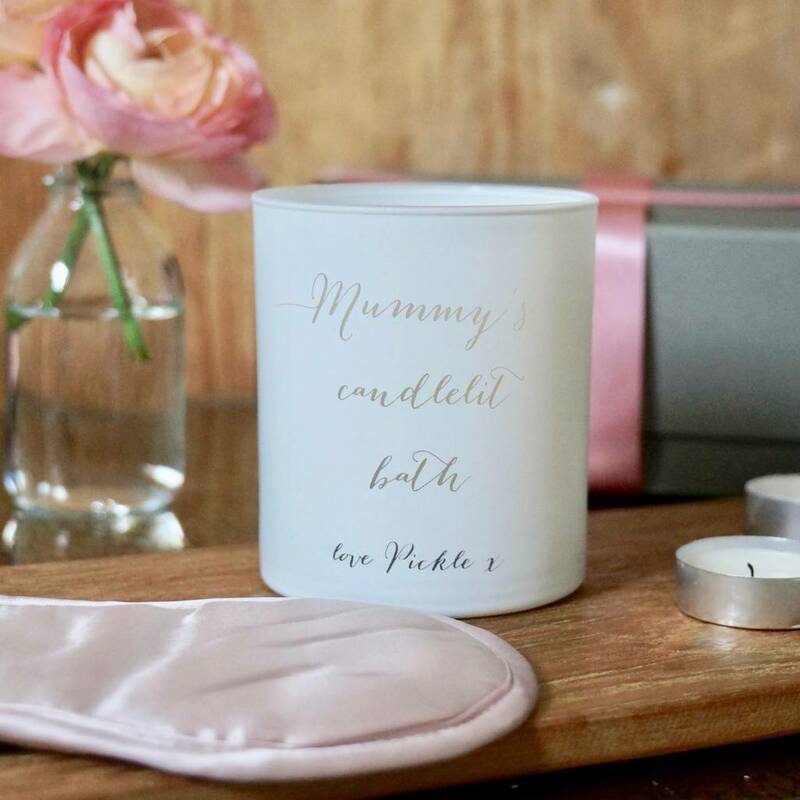 The soft, blush pink eye mask is perfect for relaxing and enjoying a moment to yourself.